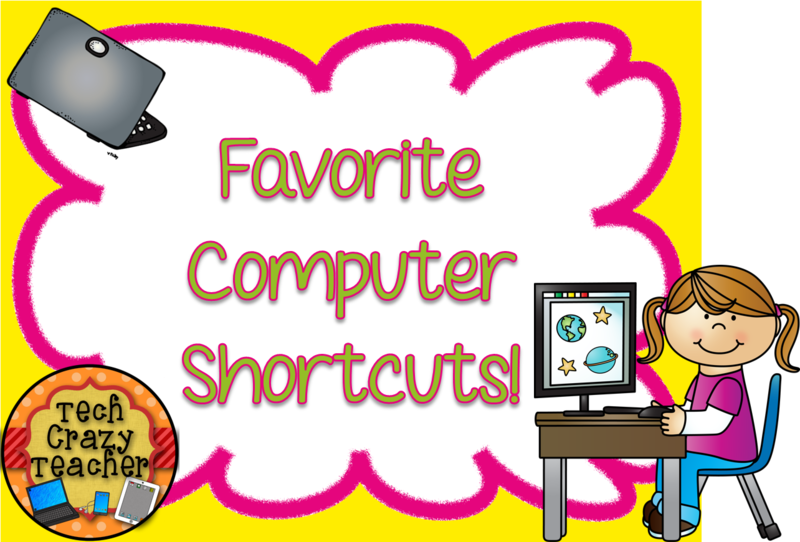 Favorite Computer Shortcuts...and How to Learn Them! Linking up with my favorite Trio (That's me! :) for Technology Thursday. 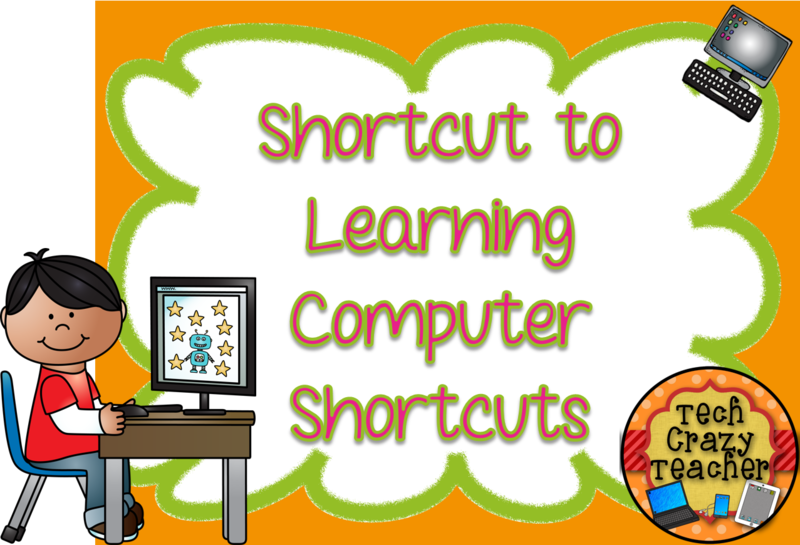 For more great Tech Tips check out Teaching Trio! These short cuts are some of the new ones I am trying to learn so I thought I would share. Now, don't wig out on me and go cross-eyed thinking you can't remember all of these short cuts. I can't either! That is why I have re-posted a special tip at the bottom to help us remember and learn the shortcuts we need. So KEEP READING! 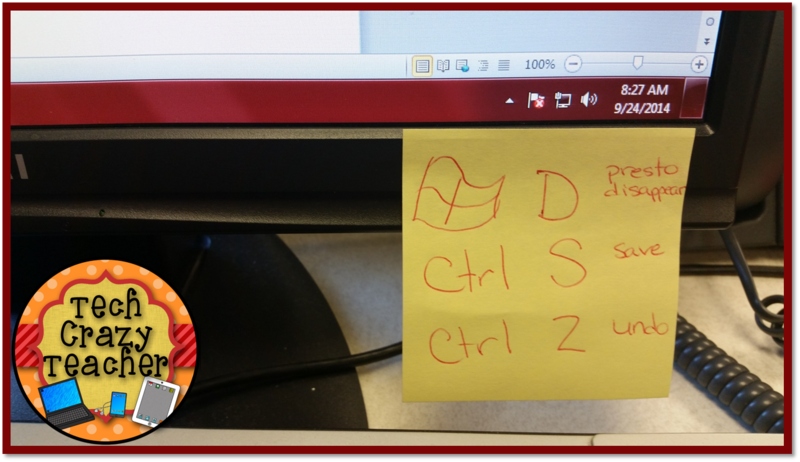 CTRL + ESC : Qpens the start menu! Yay! No more searching on Windows 8! CTRL + SHIFT + ESC: Launches the Task Manager directly without closing everything else down when you use CTRL + ALT + DEL. ALT + F4: Closes the current program that you are using. This saves you the time of moving your mouse up to that teeny tiny x.
CTRL + W: Closes the current window that you are in. This is especially helpful when you have a lot of browser windows open but only want to close the top one. F6: Jump to the browser address bar from anywhere on the page. Love this! No more moving to my mouse and dragging the cursor to the address bar! F6 and BOOM, you are there! CTRL + TAB: Cycle through all of your browser window! Okay, I love this one too! I don't have to go to my mouse and drag it to the tabs at the top of my browser anymore! I can do this one with my 2 little fingers! Fun! Now you are probably wondering, "How am I ever going to remember all of these shortcuts?" Take a look below! Have you ever seen those huge lists of keyboard shortcuts? Just looking at one of those lists stresses me out. How am I ever supposed to learn them all? AND if I have to look up the shortcut every time I have to use it, how would that save me any time? Who knew that "shortcuts" could be so overwhelming and time consuming? 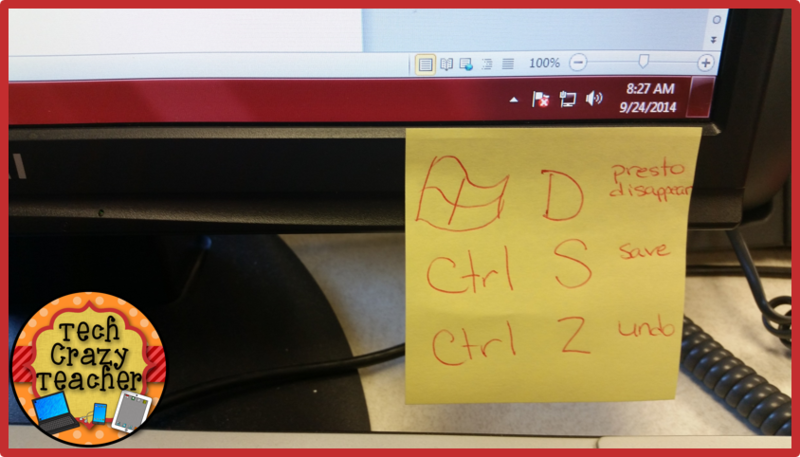 Thanks for the tip about using the sticky notes to help you learn the shortcuts. I always think wow, that's great, but then promptly forget the shortcut. I sooooo need to do this. Maybe you could get me started over Christmas? You are awesome. Mom is so proud of you. There were a few here that I didn't know! Thanks for sharing!! Thanks so much for the shortcuts. We are now using a MAC book at school...hate it because I know nothing. I am trying to keep up and anything helps! Thanks for posting!